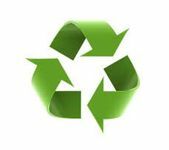 Responsible Food Disposal Solutions - Palo Alto Foods Inc.
World Centric is a socially responsible company that provides zero waste solutions to reduce environmental impact. Their vision is a just and sustainable world, where humans live simply and tread lightly. Zero Carbon Footprint. Offset our total carbon emissions by partnering with grassroots environmental and social organizations, whose programs not only offset carbon emissions but also create sustainable livelihoods. Donate. Give at least 25% of our pre-tax profits to create social and environmental sustainability. Discounts. Provide 20% discount to schools and non-profits. Compostable Trays. Provide compostable lunch trays at cost to schools to replace Styrofoam trays. Manufacturing ditsAu. Regularly audit outsourced factories in China under Fair Labor Organization guidelines, to ensure Deforest Buckner Womens Jersey fair wages and working conditions for workers. Renewable Energy & Low Impact. Power our office using renewable energy (a combination of wind and solar). Use 100% PCW paper, compost our food waste, use natural and low energy lighting, space heaters and fans, low flush toilets, reused furniture etc. Public Transportation. Provide $250 per month reimbursement for employees to take public transportation. Community. Hosted environmental and social justice speakers and film series since 2004 and regularly host other community Deforest Buckner Youth Jersey events. Integrity – Being honest and transparent with our suppliers, customers and employees. Authenticity – Doing what we say we will do and supporting what we believe in. Passion – Bringing our energy, our commitment and enthusiasm to what we do and believe in. Diversity – Respecting divergent perspectives, differing cultures and biodiversity. Respect for life – Valuing our environment and all life. Social and Economic Justice – Encouraging fair treatment, fair wages, and equitable sharing of limited resources. Green Planet Water’s mission is to offer a truly environmentally friendly, great-tasting bottled water that combines using the purest natural spring water in packaging made from already recycled plastic and not from virgin, oil based packaging. The bottles they use are made from 100% recycled plastic and in a way, a tribute to those who have taken the time to recycle plastic containers. It’s not all about the bottle however! Green Planet owns a wonderful natural artesian spring surrounded by 65 untouched acres of nature. The spring has been touted by many water and conservation specialists as one of the most natural, well-balance springs in the United States. It has natural occurring minerals such as, magnesium, calcium and potassium which give it a low TDS (35 Total Dissolved Solids per million) and a pure, refreshing, easy drinking taste. This natural artesian spring has a PH of 7.1-7.4 which is right where your body needs to be for rehydrating and the natural electrolytes help with replenishment. They truly believe, and so many tell them too, that Green Planet spring water is unique and tastes so refreshingly good. 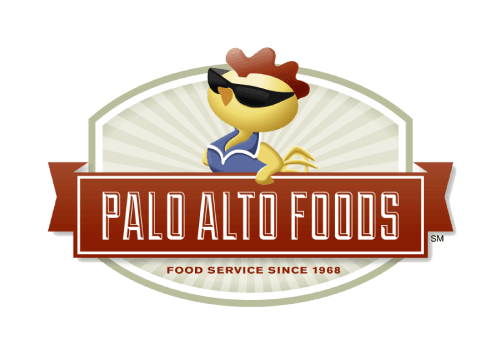 Palo Alto Foods is committed to sourcing products locally. We make an effort to source products within 150 miles of our facility if possible. There are benefits to sourcing locally. By buying from “local” suppliers, we support our community and help our customers differentiate themselves from their competitors. We offer “Open Space Meats” which supplies us with grass fed beef from Newman CA. Open Space Meats are a family run grass fed beef company. They began this company to bring great tasting, healthy, sustainable beef to the rest of the world. They think responsible stewardship for the earth, the animals under their care and serving their customers is a responsibility. They don’t use steroid implants, antibiotics on the cattle or push production faster than nature intended. Most people don’t know where their food comes from, but you can! We proudly offer “Mary’s Chickens” from Sanger CA. Mary’s Free Range Chickens is proud to be family owned and operated since 1954. At Mary’s Chickens, they believe in the importance of animal husbandry and the responsibility to protect the welfare of animals. Mary’s Chickens is proud to be the first in the industry to be verified with Non GMO Project.